At Ellison Boulters Church of England Academy, Religious Education is taught across all Key Stages in accordance with the Lincolnshire Agreed Syllabus for Religious Education 2012. We strive to give the children quality, first hand experiences. In recognition of this our lead RE teacher was awarded first prize in the Hockerill/NATRE prize for Innovation in RE teaching in 2013. Lessons are carefully planned to ensure continuity and progression. Children record their learning and experiences in a variety of ways, such as through Godly Play sessions, drama, art, music or in writing. Learning is undertaken both individually and collaboratively with other pupils. During the Foundation Stage, children begin to explore the world of religion in terms of special people, books, times, places and objects and by visiting places of worship. They reflect on their own feelings and experiences. They use their imagination and curiosity to develop their appreciation and wonder of the world in which they live. They listen to and talk about stories, including religious stories. They may be introduced to some religious words and use their senses in exploring religions and beliefs, practices and forms of expression. 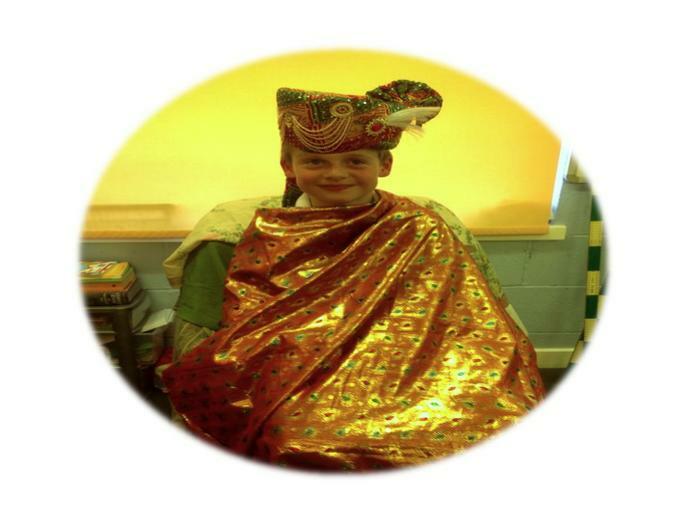 Throughout Key Stage 1, pupils explore Christianity and Judaism and are introduced to Hinduism. They learn about different beliefs about God and the world around them. They encounter and respond to a range of stories, artefacts and other religious materials. They learn to recognise that beliefs are expressed in a variety of ways, and begin to use specialist vocabulary. They begin to understand the importance and value of religion and belief, especially for other children and their families. Pupils ask relevant questions and develop a sense of wonder about the world, using their imaginations. They talk about what is important to them and others, valuing themselves, reflecting on their own feelings and experiences and developing a sense of belonging. Key stage 2 pupils learn about Christianity, Hinduism, Buddhism, Islam and Sikhism; recognising the impact of religion and belief locally, nationally and globally. They make connections between differing aspects of religion and consider the different forms of religious expression. They consider the beliefs, teachings, practices and ways of life central to religion. They learn about sacred texts and other sources and consider their meanings. They begin to recognise diversity in religion; learning about similarities and differences both within and between religions and beliefs and the importance of dialogue between them. They extend their range and use of specialist vocabulary. They recognise the challenges involved in distinguishing between ideas of right and wrong, and valuing what is good and true. They communicate their ideas, recognising other people’s viewpoints. They consider their own beliefs and values and those of others in the light of their learning in Religious Education. In accordance with the 1944 Education Act, any parent who wishes to withdraw their child from RE on religious grounds may do so and should discuss this with the Head Teacher. 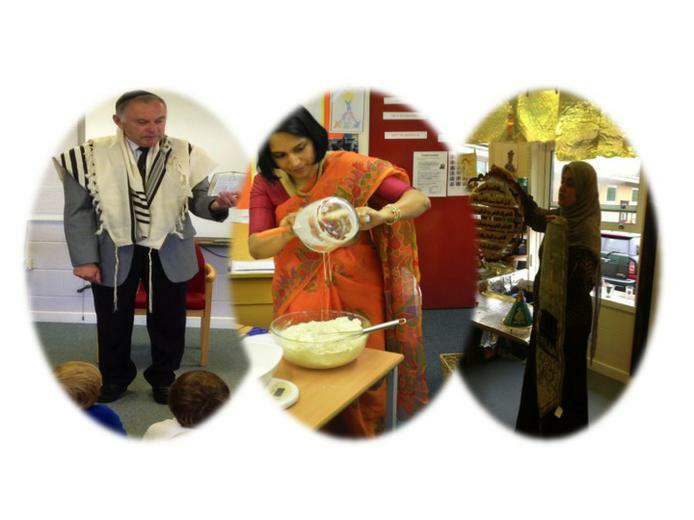 Ellison Boulters CE Academy is very fortunate to have established wonderful friendships within the local Jewish, Muslim and Hindu faith communities, who are always happy to share their specialist knowledge with our pupils and staff. We also make effective use of well-stocked artefact boxes for each of the religions we study. Thanks to the local churches, we also have a good range of Godly Play materials.